I didn’t manage to go to the SL Footwear Expo until 20 minutes before it opened this morning. I didn’t finish seeing both of the sims but I liked what I saw! I managed to get a few pairs of shoes before the lag hit — and I couldn’t tp around anymore. 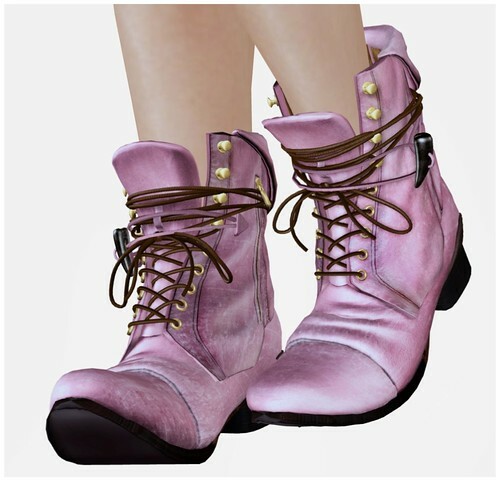 These lovely LaceUp Boots are from ANEXX. It has beautiful textures & sculpts and comes in baby Pink too!! You get a slight discount for purchasing a 3-pack so I bought one that includes Red, Pink, and Dark Brown. 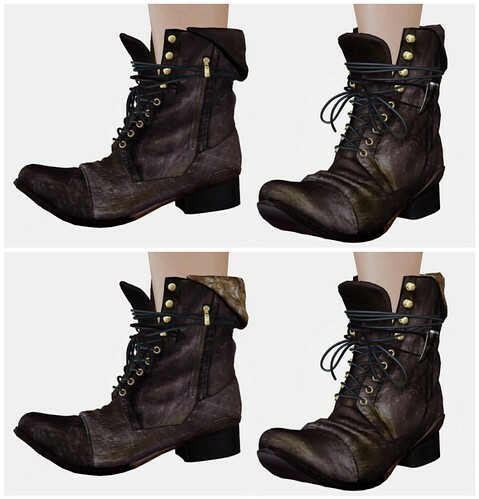 These boots includes two different top options — regular leather & Mouton. SL Footwear Expo runs from November 22nd to December 6th – click here for the SLurl.